Another new semi-regular feature I'll be doing is This Into That: showing how to reuse or repurpose different items in fun ways. 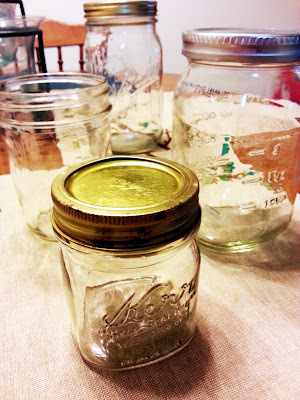 This feature is dedicated to the wonderfully Southern mason jar (and regular old food jars). They're just begging to be reused a million times in a million different ways. They aren't just made for canning and food storage! As I've shown a few times, they make great candle holders for votive size candles (or larger, depending on the jar). This is a green olive jar that's held a candle for a few months. Pop the jar in the freezer to get the leftover wax out, wash and rinse, and the jar is good as new. Hello! 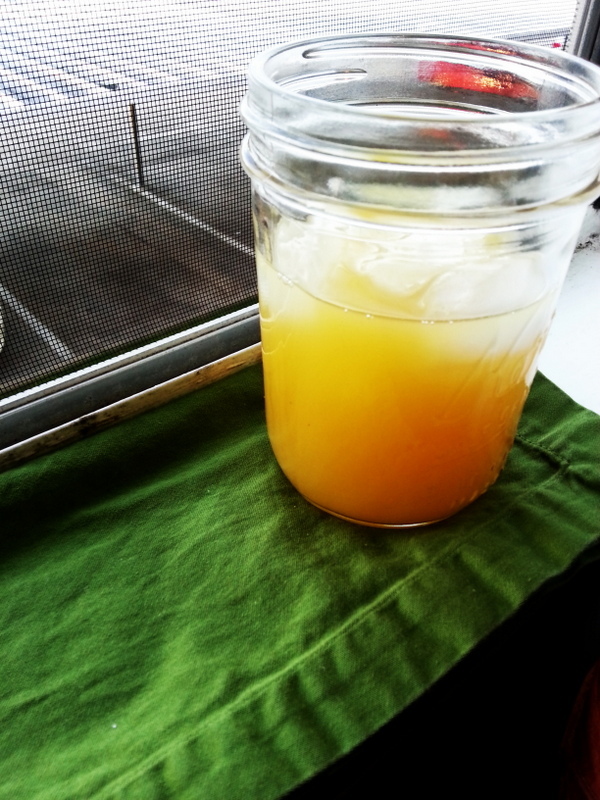 Southerners aren't known for drinking out of mason jars for no reason. This would be sweet tea, if I had sweet tea at the time. I had to settle for pineapple orange juice, but it still works! And if you're really crafty, you can make yourself a pair of Cajun Wine Glasses, complete with a stem! 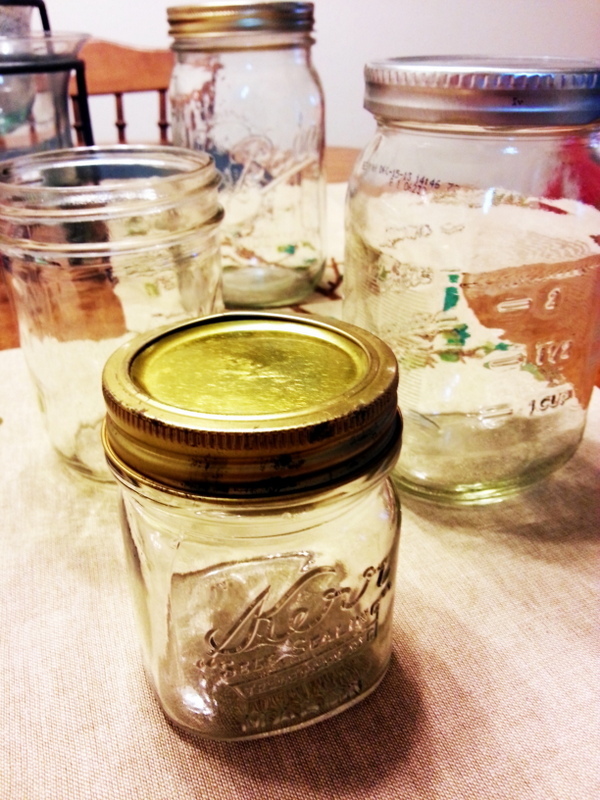 The jars can also be used as multipurpose containers. 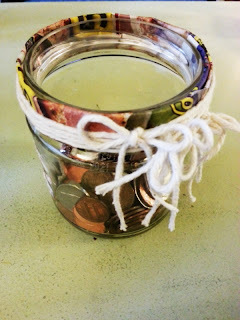 I have one dedicated to holding my loose change, and one dedicated to holding random household items I need at any given time (basically, scissors, candle lighter and a pen). And these are decorated with twine and junk mail, for extra effect. 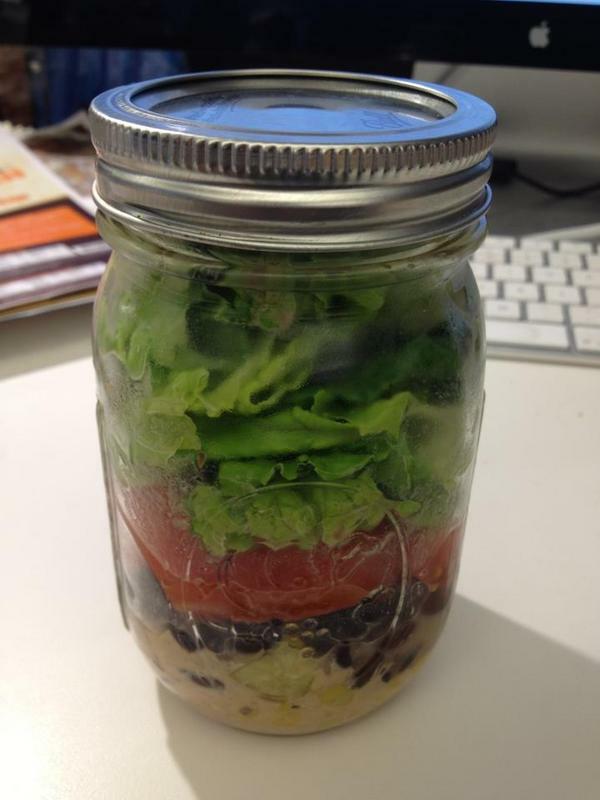 You can also make mason jar salads for your work week lunches. By placing the dressing on the bottom, you keep the salad from getting soggy all morning. Just pour into a bowl, or simply shake in the jar before eating. 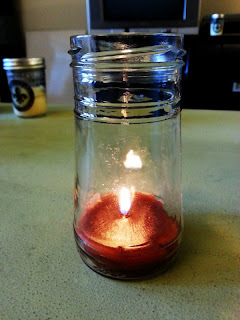 Mason jars function well as hanging lamps - or place them in a group to make a unique recycled chandelier. Social, a new local restaurant, features amazing mason jar lighting fixtures throughout. They are fairly easy to make as well! And if you want to transform them even further, you can give them a coat of paint! One glass Coke bottle I've had for years got a coat of bronze metallic spray paint and is now a gorgeous flower vase. 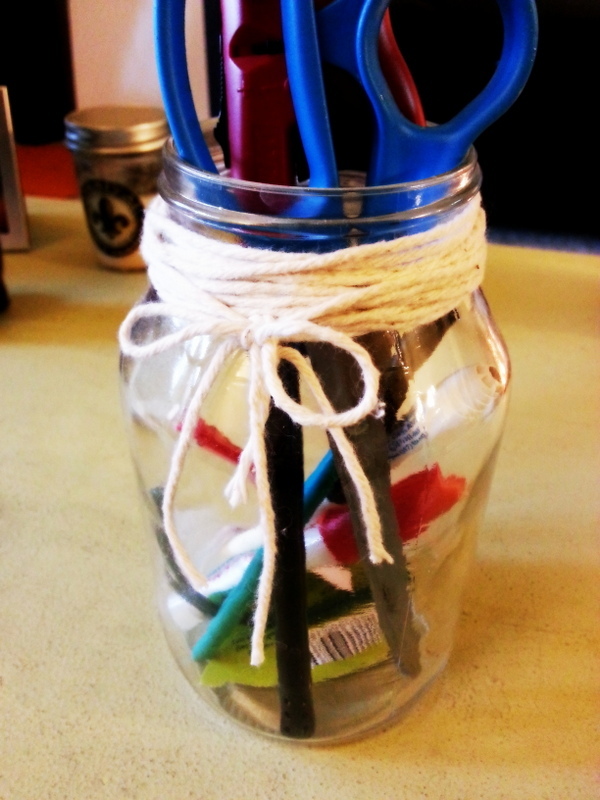 Embrace the jar shapes and contours and make them part of your decor. How many uses can you find for mason jars in your house?